Developers could make games exclusively for Apple's game subscription service. 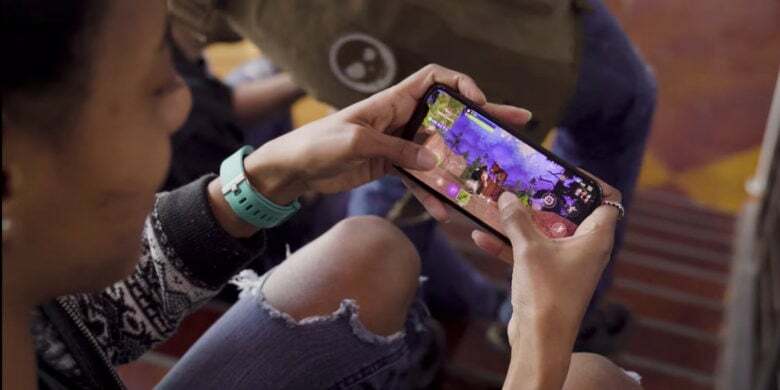 Apple allegedly wants to tap into the booming gaming industry to boost its growing Services business. The company is reportedly planning to create a new subscription service for games and it’s already talking to developers about becoming a publisher for iOS games too. During an interview earlier this year, Apple CEO Tim Cook said that his company plans to come out with multiple new services in 2019. Services like iCloud storage and Apple Music have become the second most important revenue stream after the iPhone. With iPhone sales slowing, Apple is looking to grow its services business to $50 billion in revenue by 2020. Adding gaming subscriptions could help it exceed that goal easily. The subscription service would be like a Netflix-for-games, according to the report from Cheddar. Users would pay a monthly fee in exchange for access to some of the best games for iPhone and iPad. It’s unclear how much how Apple’s gaming service would cost or how it would work for developers and gamers. Development of the service is supposedly in the early stages so the company could decide to abandon the idea. If Apple assumes the role of a publisher for some game makers it could offer devs cheaper distribution, marketing and customer acquisition. The company could also strike exclusive game deals that would make popular titles available to only Apple games subscribers. The report doesn’t give any hints on when Apple’s gaming service could launch. Apple is also rumored to be making a news magazine subscription service and TV streaming service with a ton of original TV shows that are currently in development.